Tarek, I have to consult with you again. You were brilliant and exceptional! I thank you so much." "AMAZING! Will not disappoint you. Tarek gives specific detailed descriptions of people, places, and happenings. He as able to physically describe people in my life, without me even mentioning them. Finally a REAL psychic. Don't waste your time like I have in the past with phony psychics, he's the real deal. Thank you Tarek, will be back again with an update to my reading." "I had a good reading with Tarek. 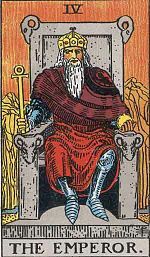 He started telling me what he sees as soon as I sat on the chair without reading the cards. 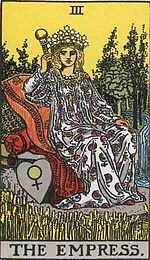 The actual tarot reading took place in the final 10 min, but we needed more time to finish the reading so I extended my time for 15 min. 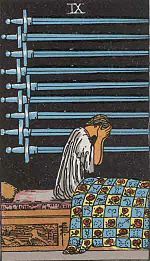 His reading was very unique compared to the other psychics I used to see. Not structured and he was all over the place but I could tell that he is a gifted individual who can see and feel things. He was so accurate about people around me it freaked me out a bit. His predictions for my future were too good to be true, but hope they will come true. Or should I say "hope I will be able to make them happen!!" $85 for 45 min was more than I was planning to pay, but I felt so good after the reading. So glad I went to see him. I will recommend Tarek to people who are looking for a real psychic. Update: Things Tarek told me came true yesterday and I got goose bumps. Although, they were bad things he warned me for. He told me that this disappointing event will happen in around September, so I wasn't really ready for it but when it happened I thought...This is it. It was like putting puzzles together by remembering what he told me. 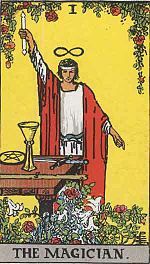 When he was giving me a reading, I couldn't connect the dots right away but everything came clear to me yesterday and I just need to stay positive. Hopefully the great things he told me will come true as well!!" "Unbelievable. Absolutely unbelievable. I was so floored by the whole reading that as soon as I left I started calling people in my family to rave and marvel at the things he told me. I did not have to offer any info, he just started pulling information out of the ether and everything was on point. He was telling me stuff that no one knew--he was practically quoting stuff from my internal dialogue. He described people in my life to a T, both physically and personality-wise. He told me about my family, my personality, my health, and my emotional state. He even knew that in the morning I am a chronic and excessive snooze-button hitter! He also connected with someone I knew that passed away and I was able to learn about that person's last moments and his state of mind. The information Tarek received from that connection also confirmed my suspicions surrounding the suspect nature of my friend's passing. He gave me practical tips about how to clean up my energy, raise my vibration, and steer me in the direction of where I envision myself. He even does telephone readings so if I move I can get in touch with him and I can also recommend him to people outside of Boston who can't see him in-person. I will never need to find another psychic in this lifetime, that's for sure!" "I've had the pleasure of knowing Tarek for a number of years and have gone to see many psychics (too many, really) during the course of my adult life. * A series of specific facts were dispensed concerning my love life, social group, family dynamic, work life ("what work life?" - I was unemployed at the time). * A pervasive shuffling of pieces of information that Tarek is able to gather out of thin air that ring truer than if I had written him a script myself . * True guidance. This is actually a big one. * Intuitive knowledge of which points to touch upon without input from me on what I "would like to talk about next". There are a lot of people in the world, and psychics don't have to care about who you are. A lot of the times, they do, which makes them even more amazing--but being subjected to honest, objective and heartfelt guidance from someone who truly knows us and has our best interest at heart is what we are ultimately looking for. Tarek has been my resident psychic ever since. Book an appointment with him"
About a year and a half ago a friend of mine told me that she was going to hang out with her friend named Tarek. I said, "Tarek? I went to high school with someone named Tarek. I wonder if it's the same person." I told her how awesome and funny he was and long story short, we realized that the people we were talking about were one in the same. Then she told me that he was doing psychic readings and I decided to give it a try...Why not? Well, I was certainly in for a shock! I was set to leave my job and enter into a very competitive and prestigious program. It was very hard to get into and afforded me many opportunities. When I discussed this with Tarek, he simply looked at me and said, "No, that's not going to happen." I was a little irritated. I thought that maybe he was mistaken. I had worked so hard to get into this program. There was no way that I was not going to go. However, I ended up staying with my current position and not entering that program. HE WAS RIGHT! He then told me that I would leave my current living situation. I couldn't see a way to do that so again, I thought he might be a little off on that. HE WAS RIGHT! Tarek was easily able to help me deal with many issues in my past and also clue me into some upcoming events in the future. For instance, my reading with Tarek was in June of 2012. On that day he told me that we would have a devastating tsunami-like natural disaster in 3 months. He did not say about 3 months or maybe 3 months, he said 3 months with conviction. Knowing that I am originally from New York City, he told me to beware of coastal areas around that time. I was going to go to New York City on October 21, 2012 for a week but I cancelled my trip with this in mind. On October 22, 2012 Superstorm Sandy devastated the NYC area just as he described. AGAIN, HE WAS RIGHT!!! There are a lot more examples that I could give to explain to you that Tarek is an awesome psychic but...I don't want to air all the personal stuff that we have discussed and this is getting lengthy. In conclusion, if you are reading this and you've already seen Tarek then you know what I am talking about. If you haven't seen him then what are you waiting for? You should be doing that instead of reading this!" "I've had the pleasure of sitting down twice with Tarek. Both times I was completely blown away! He is definitely the best of the best." "This was the first time I have ever gone to a psychic and I had seen a living social deal so I went for it. After reading the different profiles and the reviews here on Yelp I scheduled my appointment with Tarek. It was such a great overall experience I will definitely be going back again! Tarek was so insightful, fun and made sure I understood everything he was telling me. I would strongly recommend Tarek! You will not be disappointed!!" "I just had a 30-minute phone reading with Tarek. Tarek was able to read exactly what has been going on in my life very accurately. He knew right off things that were true, some uncomfortably so. He was kind and I could tell he really cared. In the end, he gave me an exercise for me to learn to finally let go and move forward to happiness. I will report back on this periodically to reflect on this day and give additional thoughts and feedback from what he told me. In the end, it is up to me to decide my happiness. Thanks Tarek!" "I was impressed by how accurate Tarek's reading was. His insight is amazing and I was blown away by how precise he was. The things he said (both good and bad) could not have been random guesses or an attempt to "fish" details from me. Since I met with him, pretty much everything he said would happen, has happened. I can't wait to meet with him, again!" "The first instinct you will have during a reading from Tarek will be to walk away angrily and/or hang up the phone.. (Although, Phone readings without a $2.99 per minute credit card charge, really?). But if you are honest with yourself, you will realize these instincts stem from the reaction to Tarek's ability to ascertain feelings, habits, and lifestyle key points within you that you may actually be in denial of yourself. Once having accepted the fact that Tarek is not merely here to brighten your day with "fluffy" predictions and observations, you will be opened up to parts of yourself previously supressed, and given a guideline of how to adjust and modify your own behaviors. If shifts in attitude, guided by Tarek's insight, can be achieved, you will, albeit begrudgingly, see just how right Tarek was all along, and possibly gain happiness!" 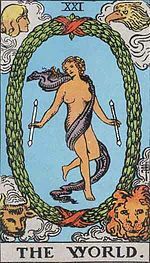 "So I love getting readings, and having my cards read...but the truth is people are really great or the complete opposite. I have to say I am so beyond impressed with the reading that Tarek gave me! There is so many crazy, random things going in my life that for him to flat out name them, was amazing! Not only did he on point tell me everything going on in my life, what to expect etc but when the reading was done I felt so much peace. And, honestly with every crazy thing going on right now I cannot even believe how relieved And happy I felt. He just flat out stated everything and honestly he was right about it all. Again, I am super picky on who I go to or even just refer but for my first reading with Tarek I am absolutely going to tell everyone about him!!!!" "Had a reading with Tarek yesterday and came back today for another. He was right on with certain things. He knew how I was feeling and how the people around me were feeling. He is very blunt, if you could handle it, which is good I think. Be prepared to hear the truth! He doesn't sugarcoat. He will tell you straight. Plus he was more than a psychic, I felt he was a good counselor and at times it was like talking to a good friend. The time went so fast. I would recommend booking 45 mins or an hour. I'll definitely be back. Follow up review: I've had several readings with Tarek and am continuously surprised by his accuracy! He can actually tune into people to tell you what they are currently doing! I would always ask about one particular person and then the next day I would find out that what Tarek said was correct! It's scary! Many of his predictions have come true and he truly knows how you are feeling. I love talking to him. I always feel as if I'm talking to a friend I have known for years." "Last night, we had a birthday party for my sister at our home in South Boston. She wanted to have a psychic at her party so we hired Tarek. He was very professional when I spoke with him. He arrived at the party on time. There were 10 people who were going to have readings. He started with one friend and she said this guy is "phenomenal". He told her things about her past present and future and was spot on. She also said he was "amazing ". The next person got a reading and the feeling was the same. One after the other Tarek gave phenomenal readings. He was spot on and truly a gifted psychic. He was naming names which was freaking people out in a good way. He spent a lot of time with each person. He picked up on health problems people had. One person was having back pain at the time of the reading and he pointed to the exact spot on himself where the pain was and he could not have known the this. He was picking up names of deceased grandparents and specific memories connected with the people he named. He was very direct but also a very sympathetic person. He seemed to know exactly what each person needed to hear or things they may have been worried about. He gave gifts to some of our friends that he thought would help them. He is a very spiritual person and the best psychic I have seen. He really went above and beyond and hung out with everyone. He was fun and he made the party a huge success. Tarek is the real deal. He is a true psychic and I am sure we will invite him back in the future. Thank You Tarek. You were a big hit in Southie." "He's really something special, and I wish that everyone could feel the comfort and relief that comes from a conversation with a talented, compassionate but matter-of-fact person who understands quite a lot about you and wants to help. 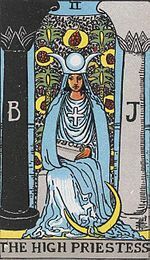 At my first reading, Tarek used the tarot deck. He had me pull cards. He looked at them and looked very concerned. "Why are you here?" he asked. I gave him a 2-sentence overview of the situation I was facing. It was all he needed. He walked me through the situation, confirmed some things I'd suspected and gave me an idea of how it would play out if I did nothing, and changes I could make that would improve things. He was phenomenal, and his help was invaluable as I navigated through a very strange stage of my life. But you don't have to be standing on the ledge to benefit from a visit with Tarek. He's warm and funny, and would be a great choice for a party or girl's-night-out. Whatever's going on in your life, he can clarify it for you and give you supportive, nonjudgemental advice that will leave you stronger, calmer, more informed and more effective. Thank you so much, Tarek. I'm looking forward to seeing you again." "I made it very clear to Tarek that I did not want to hear of any death, doom, illness, etc. and that I was at a confusing turning point in my life, but really didn't know what I wanted to hear about or ask. He IMMEDIATELY said "Your cholesterol went up - you NEED to tend to that" ....truth unfort. He explained that he saw a dip in my aura, and that's how he could tell where the problem was. So fascinating. I was at a really stressful turning point in my career and relationship which he nailed immediately. "Who is this guy you've been fighting with?? My god, you're so stressed out." He recalled my love life to a T.
Minutes later, the conversation shifted to a very important root issue in my life that I'd buried... Not only did Tarek wake me up and validate the events and circumstances, he begged that I take more responsibility for it and move on. He gave me the guidance to repair things and forced me to take a look at the situation from the other person's perspective. This was an awakening. I'd expected some sage advice but he really hit upon the most important issues that I'd neglected. This was a little startling but it was exactly what I needed. I think that we all have issues buried inside that we've abandoned in the midst of our busy lives. We need to wake up! The feeling I had when I left is the exact feeling that my friend described after meeting with Molly [another psychic]. 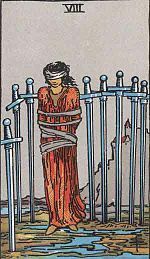 She felt she'd gained insight and guidance, not been dealt any BS. Tarek revealed that yes, certain unexplainable things were visible on our paths, but we are ultimately in control of our destiny. There is power inside of us that is suffocated by fear and doubt. As Glenda the Good Witch said "you always had the power" you just need to let these people dive in and show it to you. Be prepared to have many true experiences, people, places, events, etc. validated impressively, and be prepared to take some hefty advice. Look inside and be honest with yourself - they'll tell you what you've been denying but give you the guidance you've neglected to seek. That's the best reason to have a reading that I can give you." "I recently sat down with Tarek for a half-hour reading and I must say it was the most amazing reading I've ever gotten. I've been to so many different psychics and all they do is ask questions and read off of that, but Tarek just got right into it. I can't wait for my next sit down with him!" "I've had a few readings with Tarek and he is very clear and HONEST... And most importantly he is accurate and my personal favorite is that he doesn't sugar coat the truth. If you haven't already made an appointment with him and have questions regarding your life and things in your life, I strongly suggest that you sit down and make an appointment. I promise you two things; 1) it's money well spent and 2) You won't regret it." "Short and sweet: I recommend Tarek. I had him do my reading. I was skeptical but came out awe-struck. He's amazing and kind and will tell you the TRUTH, without sugar coating. Tarek is the real deal...just go for fun to try it at least." "Best psychic around, straight forward and to the point. Amazing the reading you get. Worth the visit!!" "Tarek is wonderful. He not only is spot on with his readings, but he gives great advice as well! He truly has an amazing gift. I was shocked about how much he knew about me in only one reading!" "I was very lucky to have received a 45-minute reading from Tarek today. I am very grateful he was able to speak to me the very day I called in. I was amazed by Tarek's accuracy! He knew exactly what I was going through emotionally, including things that no one in the world knows. He was also absolutely accurate about the nature of the relationships between the people around me, my strengths and weaknesses, hopes and dreams, the personalities of my friends, family dynamics, and even who my best friends and love interests are (got specific about their character and physical appearance). It took my breath away -- he truly knew the details, and mentioned them as if it's the most natural thing in the world. Tarek was also supportive, kind, and fun to talk to. He was helpful and straightforward. After our conversation I felt calmer, more focused and more motivated to be there for loved ones. Thank you, Tarek!" "Tarek has been 100% right about quite a few things in regards to his readings about things going on. He told me I would be working and I got a wonderful position that I love. He also told me that I needed to change a few things and with those changes great things would come out. And guess what great things came. 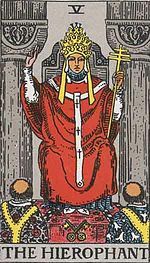 I would recommend getting a reading from him, you won't regret it--I promise." "I found Tarek via great reviews in Yelp. I have tried many other psychic places but none of them have given me such real and precise reading as Tarek did. Most of the psychic readers ask many questions about your life that it feels like you are telling them your life instead of them finding about you. This did not happened with Tarek's psychic reading. I asked Tarek to start with a general reading of my near future and that was all I said. He start portraying flawlessly my near future making me aware of some barriers. Then, he explained the origin of these barriers bringing into the picture my current emotional state created by specific past incurred events. Everything was explained to me with such precise details that I could not believe of what I was hearing. No one could have known about these details and these past events except me. I did not speak about them to no one. I was speechless and shocked throughout the reading. Such a real reading! Such a great experience! Tarek, you are definitely and 100% BOSTON's BEST PSYCHIC!!!!!!" "Meeting Tarek was wonderful, like it was meant to happen. He is the real deal. Very gifted and intuitive with a clear vision of the situation, places, and names. His reading and advice has helped me immensely. He is indeed Boston's best psychic. Thank you Tarek." "Tarek is fantastic! His readings are always objective and provide actionable advice."